This post is sponsored by Baby Dove, but all opinions are my own—I only recommend products I truly love using! 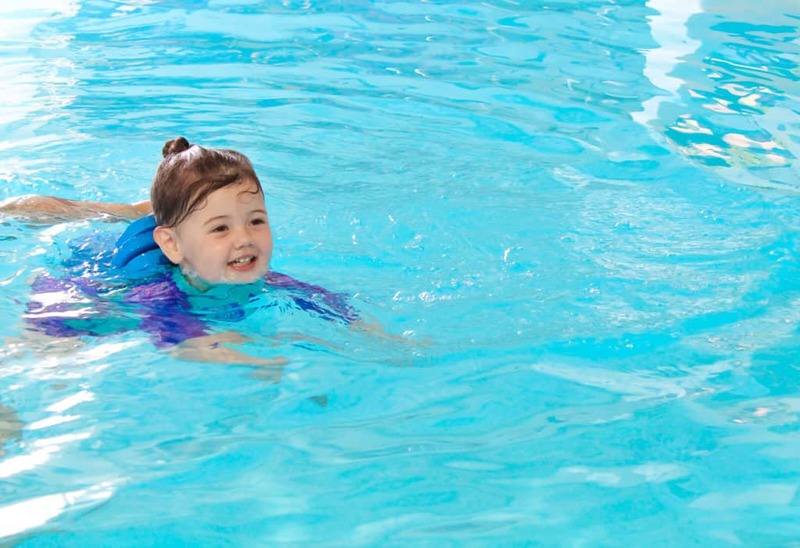 Summer is one of the best seasons to experience with a baby or toddler. The weather is nice, there is lots to see and do, and the fun options for activities are practically endless! From sun and surf to getting dirty exploring all that nature has to offer, the opportunity to bond with a baby in lots of fun ways makes summer even more enjoyable. But all those elements also have a big impact on baby’s skin, so today I am sharing some tips for baby skincare in the summer (including why it is so important)! Living on Cape Cod, we are lucky enough to head to a beach (both pond or ocean) pretty much whenever we want to/have free time. Being so close to the ocean means the air is constantly salty, and often times we are exposed to the sun’s harmful rays while out enjoying Mother Nature. We also have lots of woodland areas for hiking (plus our home is surrounded by woods). So it is pretty much a daily requirement to wear both sunscreen and bug spray when we are outside. Charlie doesn’t leave the house in the summer without both on since we almost always end up playing outside or exploring wherever we go. And with ticks and mosquitoes running rampant this year, it is vital to protect her from bites as well. Even now before summer hits, she comes home from daycare a sweaty stick mess thanks to lots of sunscreen and playground time. Add in swimming lessons in a chlorinated pool, and we are having to give her baths every single day (I am totally that mom who skips a bath here or there during winter time). The problem that this creates, however, is that her skin is being constantly covered in products and chemicals during the day, and is frequently washed, which often results in dry skin. She gets very dry skin, and we have gone through periods before where we hadn’t found the right baby wash and skincare products which just exasperates the situation. 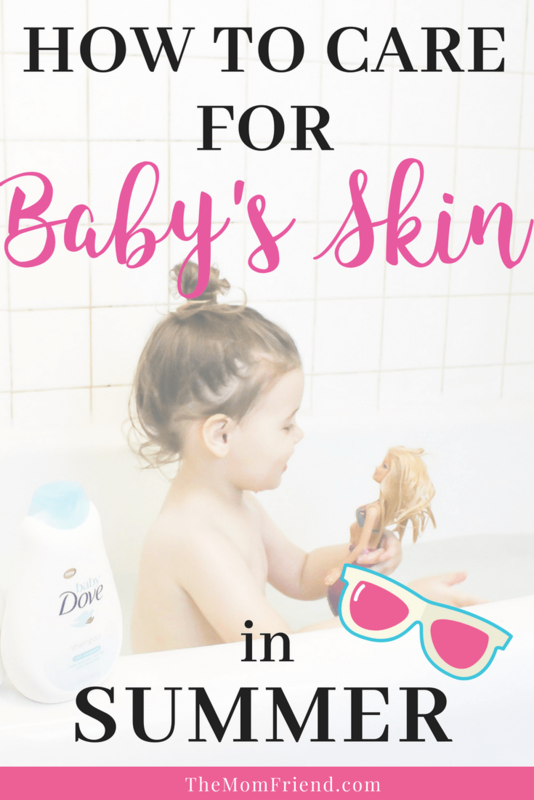 Does your baby get dry skin too? It’s a really common thing! Did you know that in just one bath, a baby’s skin can lose moisture up to 5 times faster as an adult’s? So even quick daily baths can lead to excessively dry skin. So with all the sunscreen, bug spray, and baths that summer brings along, we’ve got to be smart about the products we use to protect and replenish the skin’s natural moisture. And while there’s no one right way to parent, there is a superior way to care for baby’s skin during summer and throughout the year. When we noticed Charlie’s skin starting to really dry out over the winter, we started looking for the right solution. I came across Baby Dove on my own and knew I had to try it as I use the adult version myself. The difference was almost immediate—her skin felt softer and was free from dry patches. 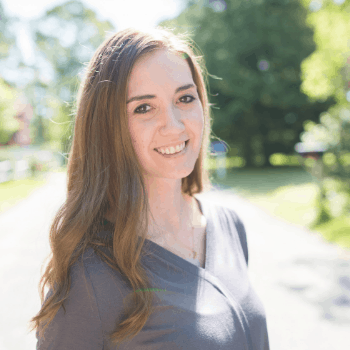 Once the warmer weather started to roll around, I began looking at the other products from Baby Dove to see how I could continue to get the same results while also battling the types of summer-only issues mentioned above. My favorites? The Rich Moisture line from Baby Dove. 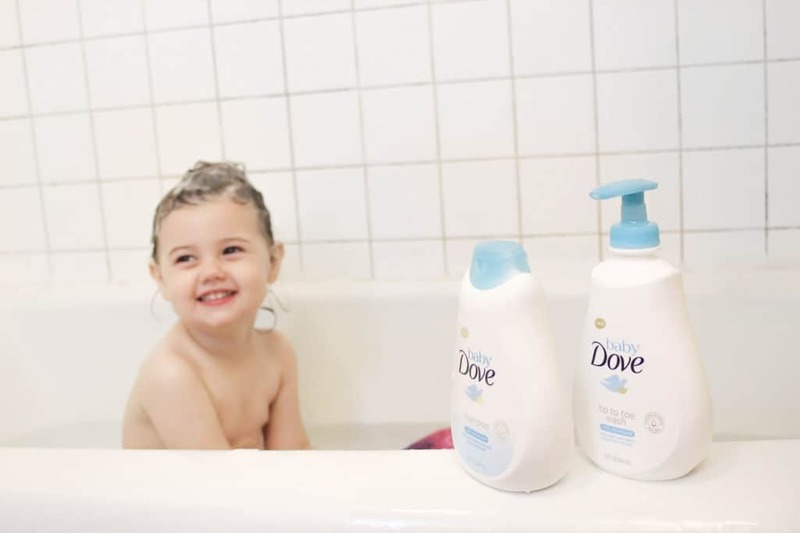 Baby Dove cleansers and lotions are made with 100% skin-natural nutrients for delicate baby skin—this means the nutrients in the products are identical to the ones found naturally in skin, and in using them, it helps to replenish moisture and restore those nutrients, rather than depleting them through use of chemicals or other ingredients. Plus all Baby Dove products are hypoallergenic without dyes, parabens or phthalates, and are dermatologist and pediatrician tested. Here are a few of my favorites from the line and how I like to use them. The Baby Dove Rich Moisture Tip to Toe Wash is great for washing away all the irritants and impurities from the day’s adventure. It has a mild formula specifically developed for a baby’s sensitive skin and works into a great lather (I hate it when cleansers don’t). For those that prefer a bar, the Rich Moisture Baby Bar is equally as great. Between the sun & sand, chlorine, and sunscreen, Charlie’s hair is truly a wreck at the end of the day. 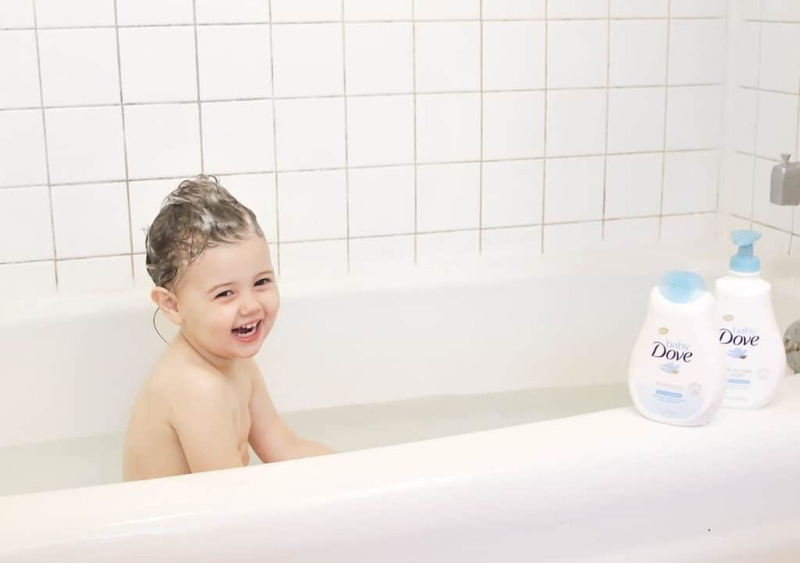 Baby Dove Rich Moisture Shampoo restores the softness and moisture and is thankfully tear-free (because that child cannot sit still when it is time to wash it out). After a bath, we use the Rich Moisture Baby Lotion—and I say we because I absolutely steal a bit for my own hands and arms—to lock in 24 hours of softness. Charlie loves putting it on herself because it makes her feel just like Mama putting lotion on. 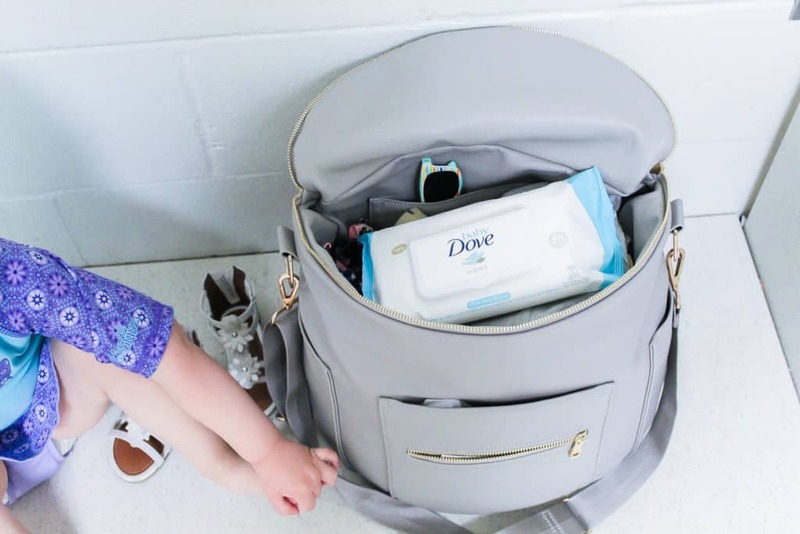 And the Baby Dove Rich Moisture Baby Wipes are a staple in our diaper bag—I especially like to use them for a quick wipe down (since they are gentle enough for the entire body) after swim lessons at the pool or after the beach or playground. You can grab a coupon here to try all of these products out and see the difference they make for yourself! By taking steps to both protect their skin from harmful chemicals and the elements during summer and then using moisture replenishing products to help keep their skin soft and nourished, it is easy to care for baby’s skin during summer—leaving fewer things to worry about and more time for fun! Great tips, thank you for sharing. 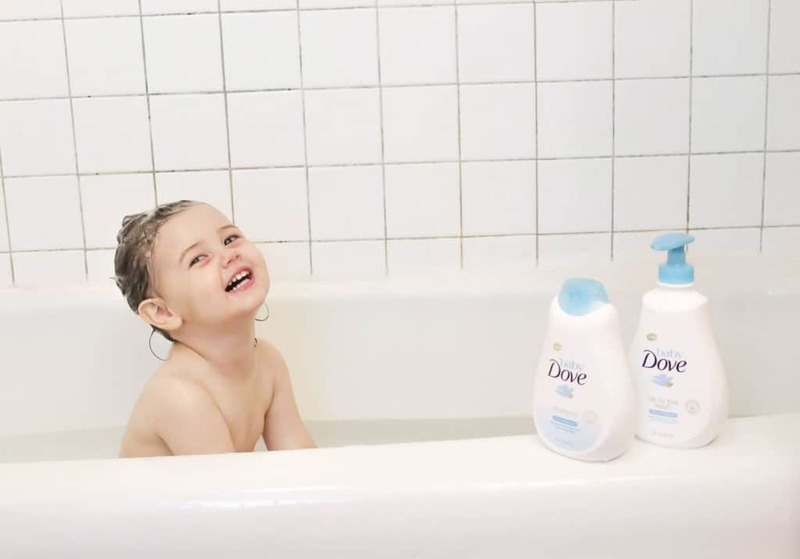 Dove has such great products for babies, and it’s important to be conscious of skin care during the hot, dry summer months.